To edit a page, first, log in to your Account Dashboard. From your dashboard, select the site you would like to edit, then click the Edit Site button below your website thumbnail. 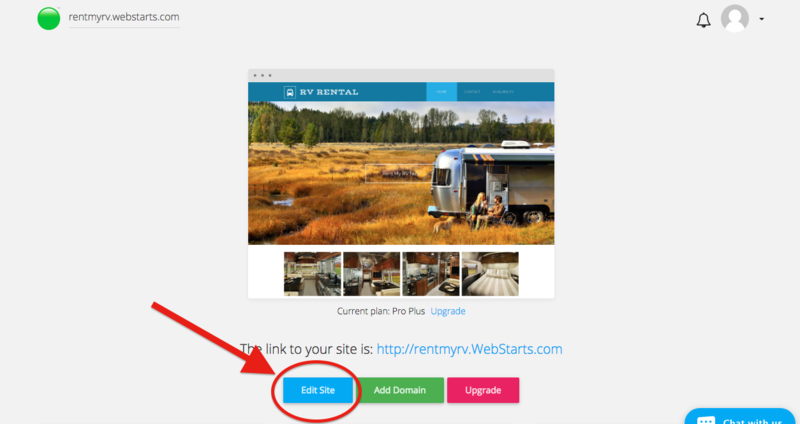 Here, you'll be taken to the WebStarts Web Editor to begin editing your site. Once you're logged in to the WebStarts Editor, you can then select which page you'd like to edit. In the top left corner of the screen, click on the drop down menu in the toolbar. Here, you can select which page you would like to edit.